A story that follows a crown prince who faces enemies from all sides and falls in love with a maidservant who wants to kill him. He is a son simply yearning for his father's love, but is feared and suppressed due to his position. Despite the conflicts, the crown prince is a man willing to sacrifice his life and reputation for his country. Xiao Dingquan (Luo Jin) is appointed as the Crown Prince during the fourth year of the King's rule. He solidifies his control in the military through the support of the famous general Gu Silin (Liu Dekai), his uncle from his mother's side. In the political arena, he receives the guidance and advice of the righteous Lu Shiyu (Wang Jinsong) who holds a high position in court. The King views Xiao Dingquan's merits and alliances as a threat and makes things difficult for him even though Xiao Dingquan wants nothing more than to be a dutiful son and subordinate to his own father. At the same time, the King turns a blind eye to his illegitimate son Xiao Dingtang's (Jin Han) ambition to take the throne for himself. Xiao Dingtang conspires to frame Xiao Dingquan for the death of a civil official named Lu Ying. Lu Ying's daughter Lu Wenxi (Li Yitong) assumes a new alias as A Bao and enters the palace as a maidservant in order to get revenge. Filming took place in Xiangshan, Wuxi, Inner Mongolia and other locations. Filming lasted 216 days beginning on May 21, 2018 and ending in December 2018. 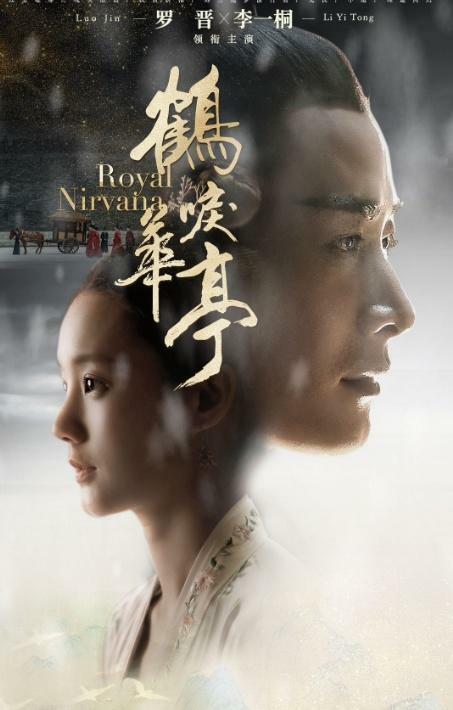 Let us know why you like Royal Nirvana in the comments section. Please also share these fun facts using the social media buttons below.